I always think the sweet egg sushi is for kids only. I never touch it when it’s in the assorted sushi platter. 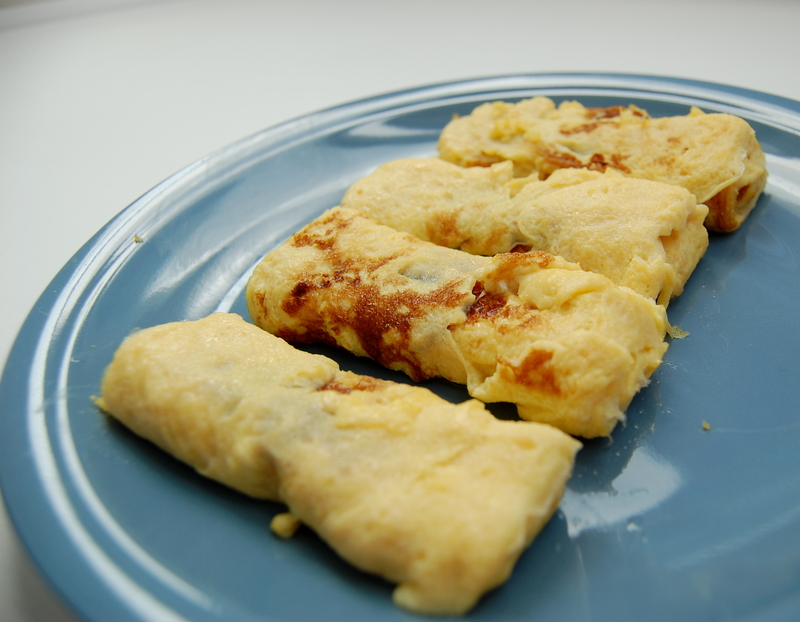 Nevertheless, after tasting the traditional tamagoyaki in Japan and seeing the few famous specialty “egg omelette” stores in Tsukiji (famous fish market near Tokyo), I changed my view on this egg dish. I think it’s so fun to learn how to make it, so today I finally used the non-stick square pan I bought a few months ago from a local Japanese market. 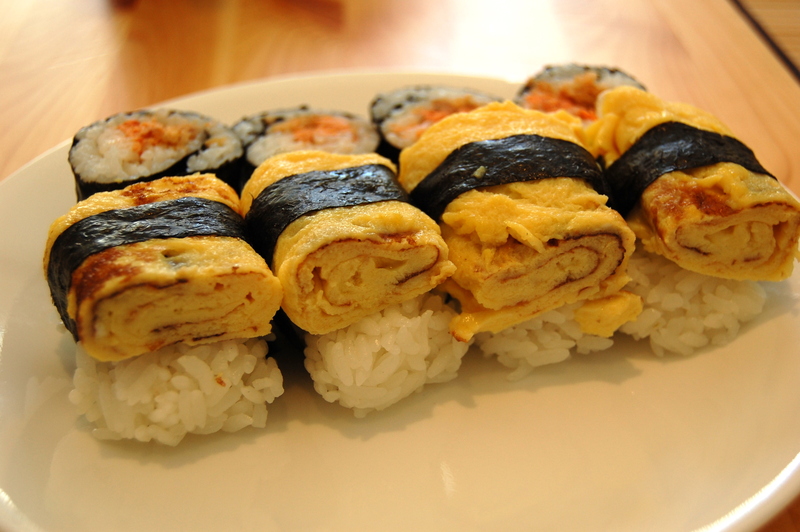 After trying 1-2 rolls, I kind of understand the technique of rolling a nice tamagoyaki.